Hello Designers, and welcome to the professional runway! 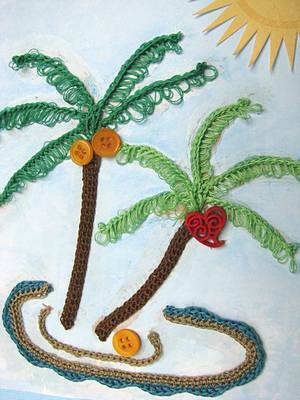 This month, your challenge was to create a design using non-conventional materials in an innovative way. 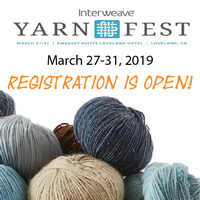 Up to 20% of your design could be made from conventional yarns – but I hope you didn’t play it safe. I’ve enjoyed watching everybody coming up with great ideas, snapping up materials and design ideas that it got harder and harder to come up with something original. 😀 Nice going! So, I decided to go with a crochet project for this challenge as March was Crochet Month. And having been teased with some very warm days just to be followed by a one day snow storm that left behind a foot of snow and lots of sledding opportunities for the kids, my mind was wandering off to warmer playgrounds… The idea for a card design was born with sewing threads as the source material. I used 3 threads per color to get a 3-ply “yarn” to crochet with. 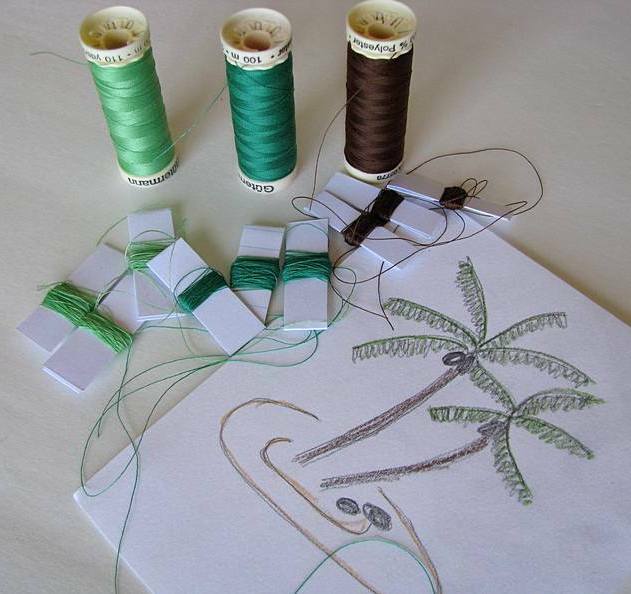 For the palm leaves I decided to go with slip stitches into a chain but with winding the thread first once around a knitting needle to make a loop for a frond. It was super slippery (used polyester thread, cotton would have been better), splitty, and rather small sized. Yikes! 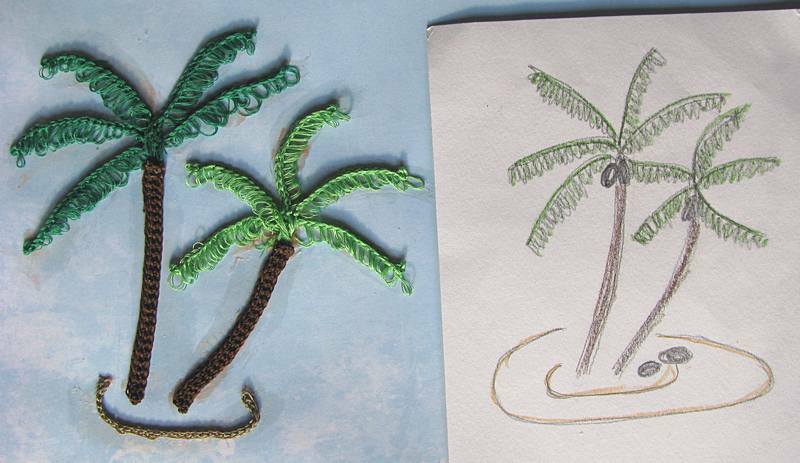 And then I ended up with a pile of curly things – not quite what I had envisioned. Was this really going to work out? 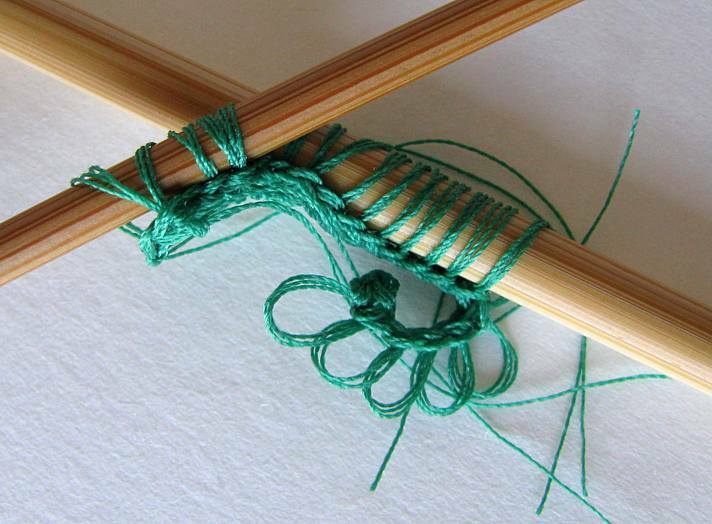 After patiently untangling, arranging and gluing the mess with a toothpick – it is really coming together! The finish line is in sight! 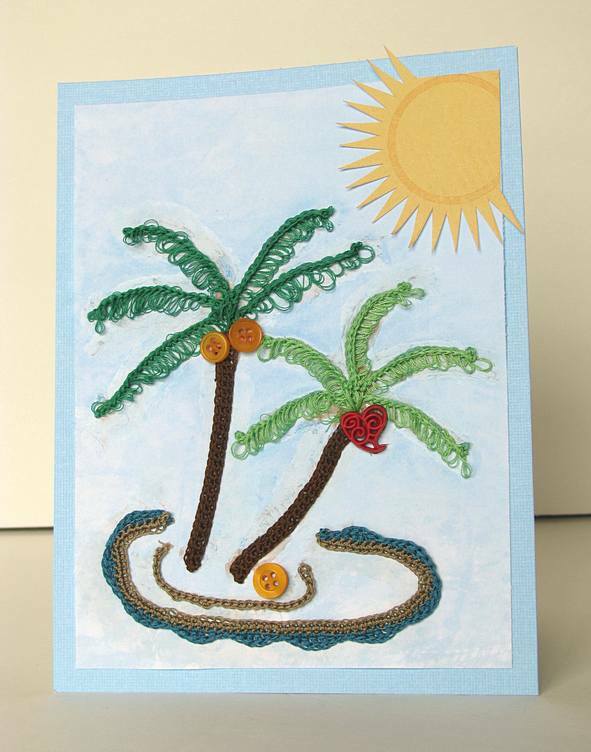 After a cool tip to use perhaps some buttons for the coconuts and cutting out a sun from some scrap book paper, my little card is finished (5”x 6.5”)! 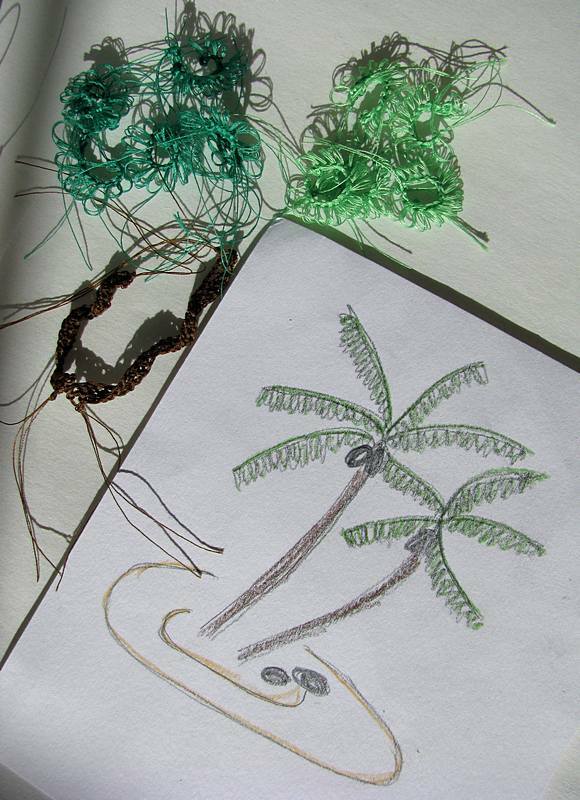 The card didn’t win but I sure enjoyed my little trip to a tropical island and working with not so traditional supplies for crocheting or knitting.